Just when you thought we were making progress, the fashion industry takes another step back. 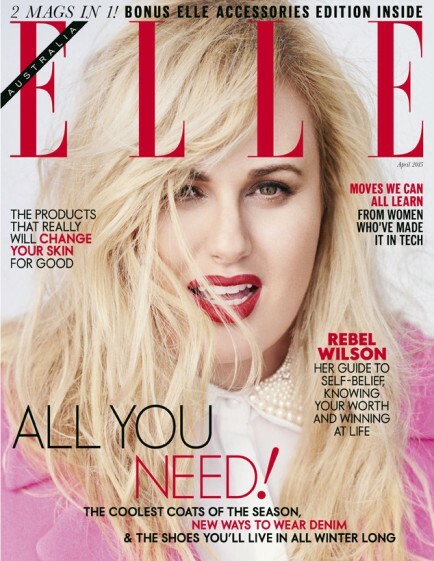 Rebel Wilson, the hilarious Australian actress, will be appearing on the cover of the April issue of ELLE Australia. Which means we should be popping champagne because another plus-size woman has managed to get on the cover of a major fashion glossy. Well, you might want to hold off because Wilson’s cover was given what many are now referring to as the “plus-size treatment.” This unfortunate phenomenon occurs when an Anglo-Saxon magazine wants to tout its body-shape diversity, so they deign to put a plus-size woman on the cover. However, instead of celebrating her curves the cover is almost exclusively a close-up. Wilson is just one in a long line of women who have been cropped for their shoots. Adele‘s cover of British Vogue and Lena Dunham’s cover of American Vogue were also turned into backhanded compliments. You’re pretty enough to be on our cover, but really we’re only willing to tolerate your face.